The Rocket is SEMA Ready! After an amazing qualifying session at the Korean International Circuit, I was really pulling for Lewis to win Sunday in Yeongam at the Korean Grand Prix. Oh well, the Vettel dominance continues. What can you say? Seb and Red Bull are on fire. 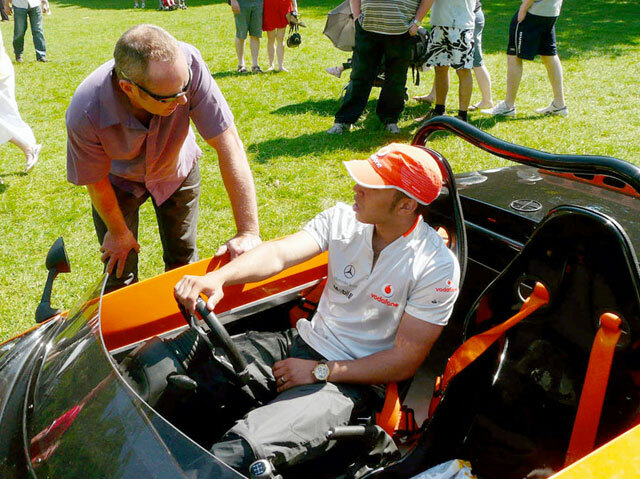 Watching Lewis tear around the year-old track reminded me of this photo of Lewis Hamilton and Stuart Mills discussing the Sonic 7. 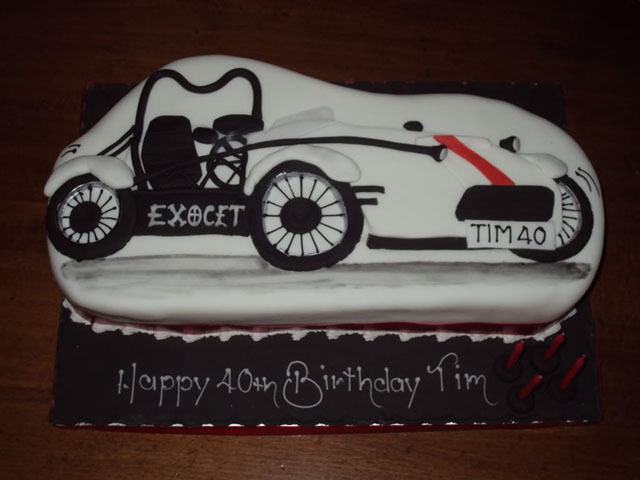 Even drivers of the most thrilling vehicles in the world have a keen interest in the Exomotive line of vehicles. 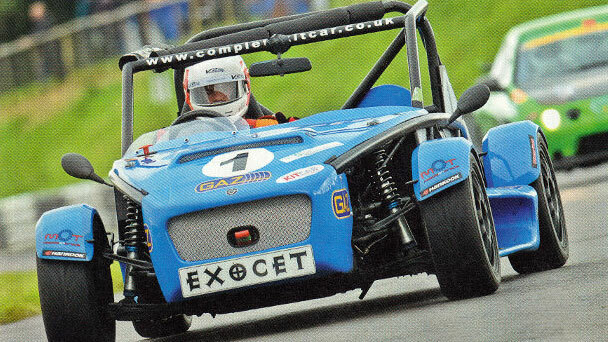 Exomotive and Exocet Cars, the New Zealand Exocet dealer, were mentioned in the News section of Totalkitcar.com today. 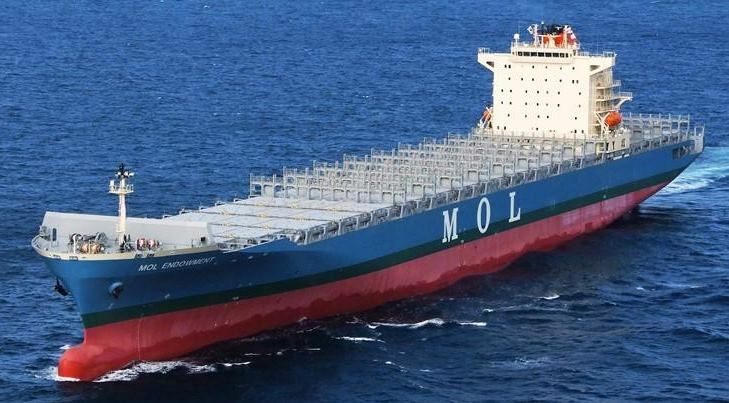 The spread of Mills Extreme Vehicles continues with the recent announcement of two new overseas distributors specifically for the Mazda MX-5-based Exocet model. Three of the MX150R Exocet race cars turned out for the DTM Nippon Challenge this weekend at Brands Hatch. Drivers Jonathan Blake, Alec Liversley and Michael Pearson enjoyed receiving a large amount of attention on this very televised race weekend aired on Motors TV. 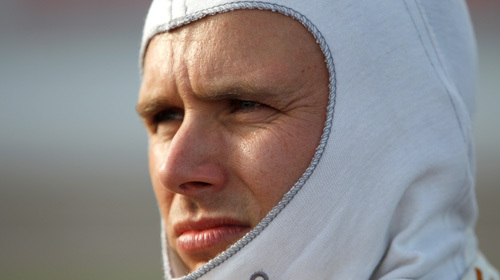 The Saturday heats were successful with the Exocets coming in third and fourth place. On Sunday, heavy rain made for wet conditions but the downpour had cleared by the time of the start of what became a very exciting race. Brilliant driving by Jonathan and Alec resulted in second and third placings for them in the 2011 Nippon Challenge. Michael managed a very respectable thirteenth place after a spin knocked him out of seventh. Big thanks to the mechanics who looked after the Exocets too. An amazing showing when you consider the grid included significantly higher powered Subaru Imprezas and Toyota Celicas. A great showing for the new MX150R MEV Exocets in their first season. 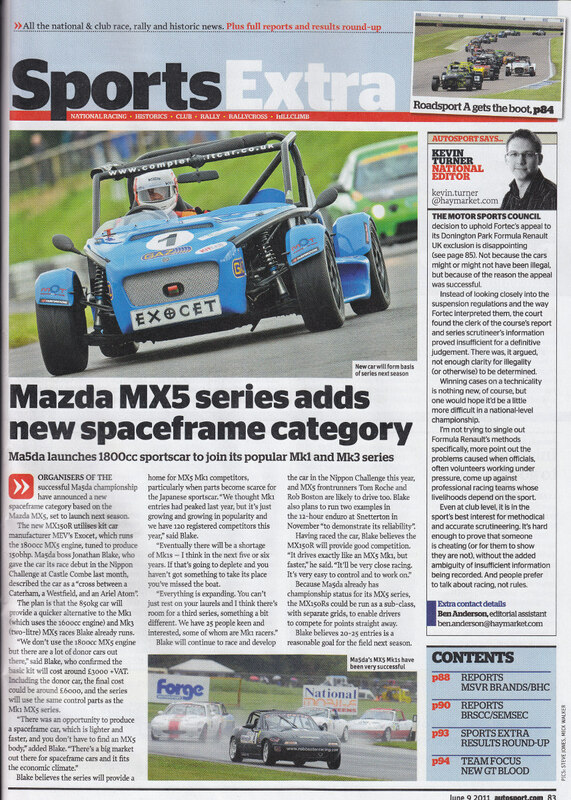 Great writeup in the Sports Extra section of Autosport yesterday about the new Exocet Race Car and dedicated UK race series for 2012. Organizers of the successful Ma5da championship have announced a new spaceframe category based on the Mazda MX5, set to launch next season. 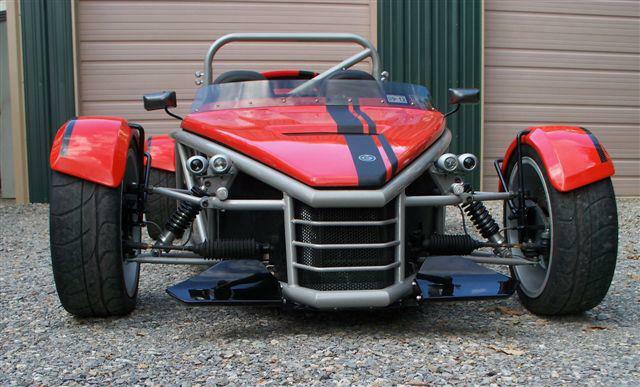 The MX150R utilizes kit car manufacturer MEV’s Exocet, which runs the 1800cc MX5 engine, tuned to produce 150bhp. 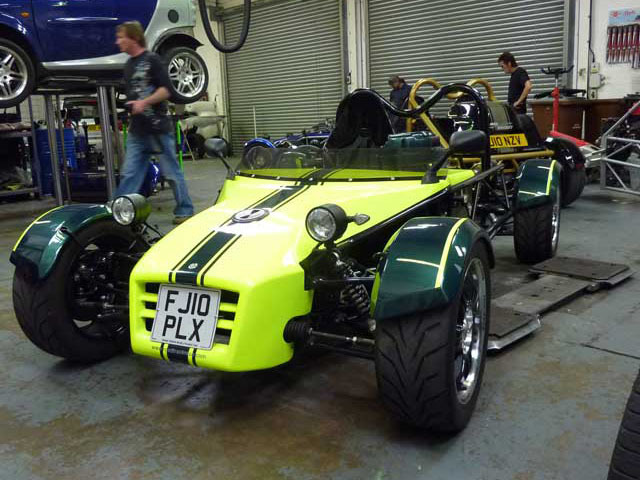 Ma5da boss Jonathan Blake, who gave the car its race debut in the Nippon Challenge at Castle Combe last month, described the car as a “cross between a Caterham, a Westfield and an Ariel Atom”. The plan is that the 850kg car will provide a quicker alternative to the Mk1 (which uses the 1600cc engine) and Mk3 (two-liter) MX5 races Blake already runs. “We don’t use the 1800cc MX5 engine but there are a lot of donor cars out there,” said Blake, who confirmed the basic kit will cost around 3000 + VAT. Including the donor car, the final cost could be around 6000, and the series will use the same control parts as the Mk1 MX5 series. Blake believes the series will provide a home for MX5 Mk1 competitors, particularly when parts become scarce for the Japanese sports car. “We thought the Mk1 entries had peaked last year, but it’s just growing and growing in popularity and we have 120 registered competitors this year,” said Blake. 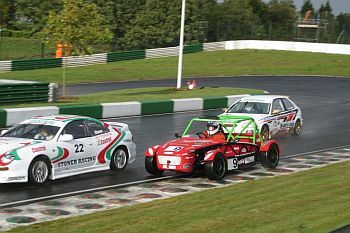 Because Ma5da already has championship status for its MX5 series, the MX150Rs could be run as a sub-class, with separate grids, to enable drivers to compete for points straight away. Blake believes 20-25 entries is a reasonable goal for the field next season. 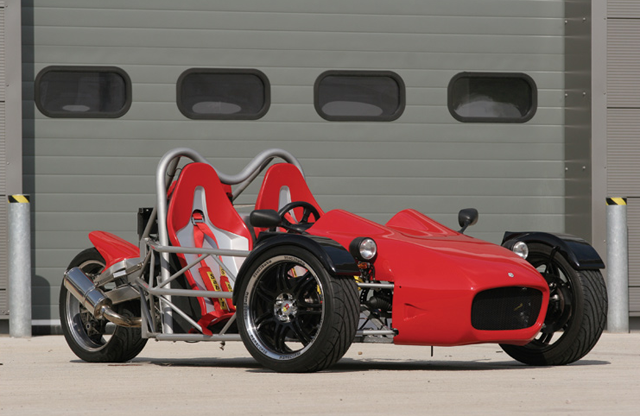 MEV tR1ke and Atomic now Road Legal! 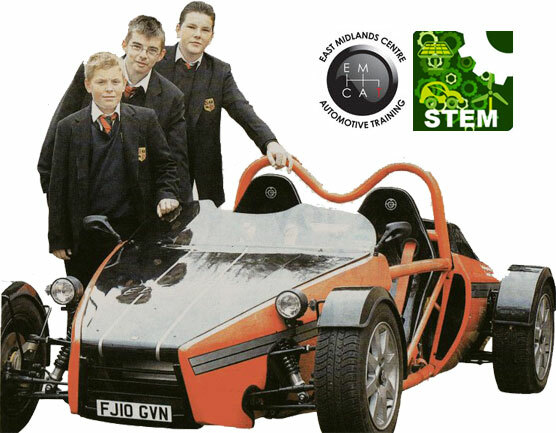 Great news about our bike-engined cars. Team MEV is proud to annouce that our Atomic model has now passed IVA and our innovative Yamaha R1-powered tR1ke is now road-legal. Either of these Yamaha R1 powered options is an excellent choice for your next build.